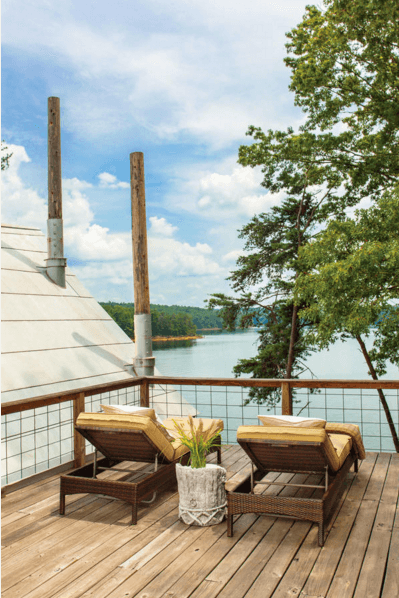 Set at the edge of a clear, deep lake just north of Birmingham, the unassuming home of designer Richard Tubb and his partner, Danny Weaver, rises like a tree house from the shore. 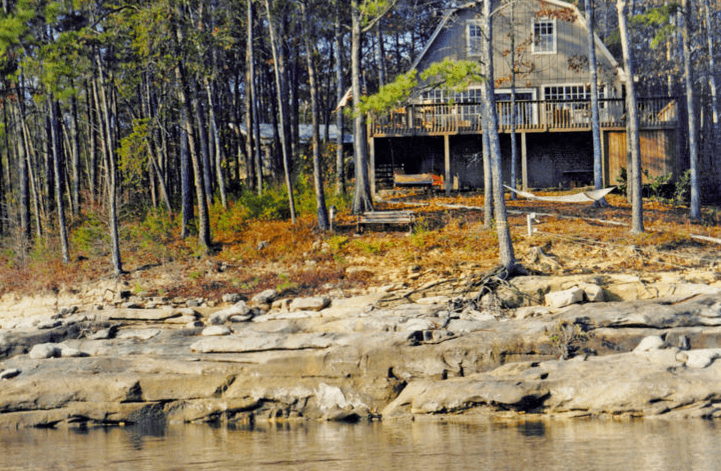 In the evenings, it glows like a lantern, becoming a beacon of sorts for boaters on Smith Lake. 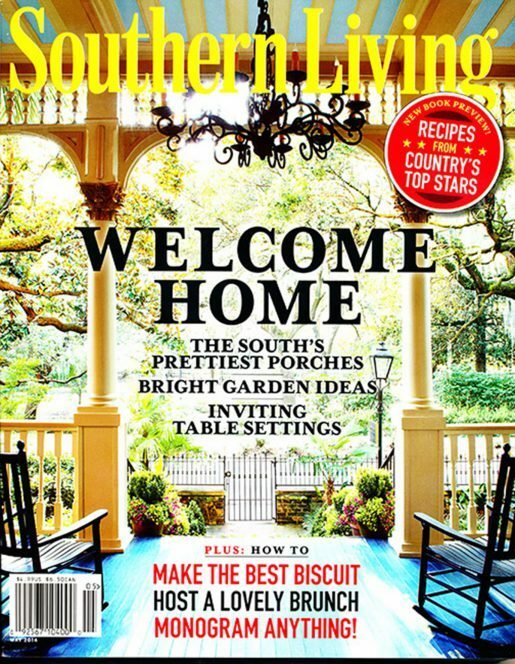 Architect and friend Jeff Dungan designed the home’s addition. The original cabin was initially purchased as a “mail-order” kit. Accompanied by an instruction manual, these mass-produced prefab homes arrived on-site in as many as 12,000 pieces. 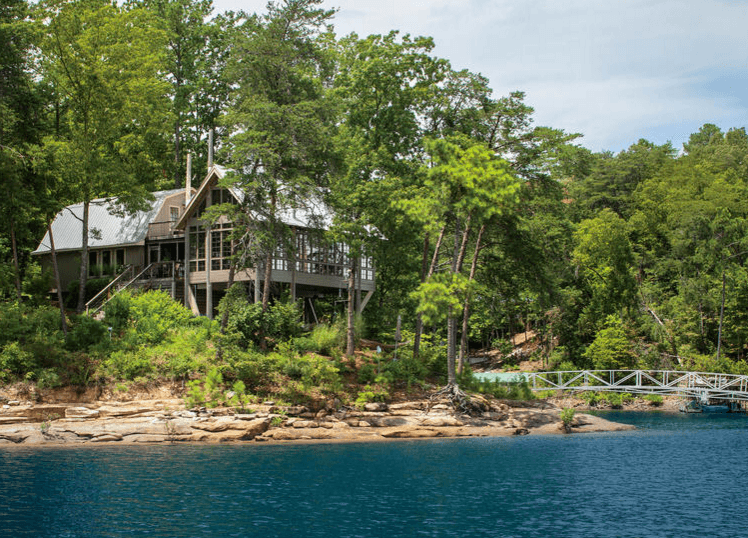 Rather than force an addition directly onto the cabin, architect Jeff Dungan designed a separate, freestanding structure and connected the two with a breezeway.